Brett McGurk, the US special envoy to the anti-ISIS group coalition, has resigned, a State Department official said Saturday, capping a chaotic week that saw the departure of Defense Secretary Jim Mattis and Donald Trump’s stunning decision to pull troops from Syria. Just last week McGurk, a Barack Obama appointee whom Trump kept on, said “nobody is declaring a mission accomplished” in the battle against ISIS — just days before the president blindsided politicians and allies with his announcement of victory against the jihadist movement. Trump later took aim at McGurk on Twitter, referring to him as a “grandstander” who was quitting just before his time was up. McGurk has served as the US envoy to the Global Coalition to Defeat ISIS, an acronym for the jihadist group, since 2015. 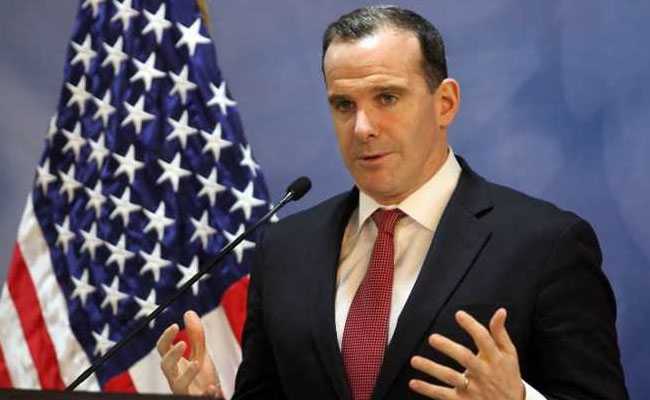 McGurk called Trump’s move to leave Syria “a shock” and “a complete reversal of policy that was articulated to us,” in an email announcing his decision to colleagues that was obtained by The New York Times. “It left our coalition partners confused and our fighting partners bewildered,” he said, according to the newspaper. Just after announcing his Syria decision, Trump again confounded international partners with plans to slash troop numbers in Afghanistan. “If anybody but your favorite President, Donald J. Trump, announced that, after decimating ISIS in Syria, we were going to bring our troops back home (happy & healthy), that person would be the most popular hero in America,” he tweeted. Heavyweight adviser Mattis — a decorated Marine general who was often referred to as “the last adult in the room” — made clear in his resignation letter that pulling out of Syria crossed the line.